I’ve enjoyed my new Deepwood Stalker to the point where I’ve “hyper-leveled” her with all the holiday bonus XP, VIP and play-through bonuses over the last few weeks. Artemistika (or Misty, as one guildie calls her) has everything trained for best tactics and damage with her bows. Once I corrected a bad feat choice, choosing Improved Critical: Piercing and not IC: Ranged, and once Aerenal Grace (DEX to damage) was added in, Misty’s DPS began to rise. With Improved Archer’s Focus in the mix and one special ability, the damage is absolutely astounding. Others disagree on using Aerenal Grace, as noted in this recent thread. They recommend certain gear but also a multiclass format. The only thing they all agree on is getting a Silver Longbow–the one bow that Misty didn’t have at hand in her Heroic life, having acquired one just recently. I disagree with the thread’s conclusions. I suspect they aren’t taking advantage of the class role and playing it as DPS build, ignoring that managing aggro is the key to the Deepwood Stalker build. This Ranger is as challenged to deliver powerful attacks as an Assassin if they cannot position themselves without attention from the enemy. That thread on an Elven build also noted the addition of Ten Thousand Stars as a secondary DPS option to go with Manyshot. In short, the posters essentially recommend a monkcher build. I don’t think that’s necessary. The Deepwood Stalker is meant to stand still and create cumulatively powerful sustained damage with plenty of skills. I had no problems with this build in Heroic once I understood this point, especially after aggro-management training I gained through another Sneak Attack-enabled character, my Assassin, Sukitetica. I’m having great success with my Elven Ranger because I train hirelings to help me master the art of ranged aggro control. Around level 16, I decided to whip up a Black Dragonscale Robe, rather than it’s light armor counterpart, on the suggestion of a commenter to help balance Misty’s AC with her ever-growing DEX in Heroic. It also allows me to consider a Zen Archer or Shuricannon 2.0 track for her later, using that robe. Black Dragonscale armors are known for their Haste Guard and armor-piercing qualities that reduce enemy fortification. My understanding is that, generally, this effect stacks with other fortification-reducing effects. I wore this through level 22, noted below. I trained in much of the good stuff from the Stalker tree, including Heavy Draw, Improved Archer’s Focus, Killer, and Leg Shot. I might tweak these a bit to get the last special shot, Head Shot, but it seemed a bit random to be successful based on the description. Misty’s now at level 23. She’s trained two-thirds of Shiradi Champion, a bit of Primal Avatar for Rejuvenation Cocoon, reached enough training to open the martial ED trees and used a Key of Destiny to immediately open up my second preferred ED, Shadowdancer. I want to have this trained by the time I hit my first Epic raid for greater defenses and Sneak Attack damage, with dominating a high-CR enemy for a powerful aggro management option. At 45 DEX in Shiradi, Misty is not to be underestimated but still has room to grow that ability. If I could afford a +5 DEX tome, I’d add that in, too, but that will have to come some other time. A tome with only +3 is the best I can do right now. Getting Yugo potions to boost this up will have to wait. Attempts to start this are challenging due to aggro management overload (see below). I still need Unyielding Sentinel’s Brace for Impact trained in to survive an EE strike with higher fortification, and have a small collection of Fortifying items for adding in Exceptional Fortification. With more training, I want 180% or higher fortification to survive while not moving. Since my AC is practically meaningless at 53, fortification and miss-chance effects are priority, next to tweaking my hirelings for the best aggro solution. The nicest gift came through a visit to the Magma Forge by Szyncletica: A tier-0 Thunder-Forged Longbow. It’s my standard weapon now. After a run through a few Storm Horns quests on Heroic Elite, I was blessed by the guild master with a +5 Anarchic Longbow of Disruption. Being of the Neutral persuasion (after being so used to being Lawful as a Monk), I can equip it without any neg-level issues. It’ll have to do while I work on getting a Green Steel triple-positive bow. Some very, very hard grinding, through three tours of the “Druid’s Deep” chain and hunts through the King’s Forest and the High Road netted enough Commendations of various types to buy the three items that form the Woodsman’s Guile set from the Druid trader. But there’s something more to Misty’s success than mere ED training and new gear. Yes, I said “badass” and “hireling” in the same phrase. Since level 20, when not with other guildmates, I’m accompanied by two specific hirelings: Albus Gladwin, a level 20 Favored Soul with Death Ward, and my level 20 Onyx Panther. Now, that doesn’t sound like much until you add in two important bits of training I’ve added in, and mentioned before. Augment Summoning feat: Your summoned creatures, charmed minions, and hirelings have +4 to all ability scores, increased health (amount equal to what the toughness feat would grant: Total hit dice +2), and increased fortification (+50%). Harper Leadership: Your hirelings, summoned, and charmed creatures gain [+2/+3/+4] to all ability scores. Heroic Companion (Harper tree): Action Boost: Grants an ally +0.25/+0.5/+1[W], +2/+4/+6 to hit and saving throws, 0/+2%/+4% Dodge and 0/0/+10 Physical Resistance Rating. (Cooldown: 30 seconds). Animal Growth (Ranger spell): Grants an Animal, Magical Beast, or Vermin a +4 size Bonus to Strength, a +4 Size Bonus to Constitution, and a -2 penalty to Dexterity. Albus gets the Heroic Companion buff while the Panther enjoys the Animal Growth buff, boosting STR and CON stats it can change for a +12 ability score buff for the cat. And when I need a wild-weasel aggro magnet that always protects me (at the cost of attracting some aggro), I have a Shard of Xoriat to summon a squishy Taken, illitid, Evil Eye or beholder. These summons also gain the benefits of my Augment Summoning/Harper Leadership powers and any buffs I give them, making them far stronger and durable. The result? A very durable team for me to stand and deliver punishing damage as Archer’s Focus increases and critical damage of 200, 400, 600 and even some 1200 hits fly from my bow. Sure, DPS is important. But DPS in combination with keeping enemies at bay while you deliver the damage means sustained DPS. That is, the ability to continually shoot and shoot without any retaliation from enemies because of strong aggro management and being interrupted. For a Stalker, the Archer’s Focus magnifies my competence bonuses to attack, up to 25 times. Aggro management beats high DPS. Even if you’re using a masterwork bow, a strong aggro solution keeps the enemies off you, no matter how terrible your DPS may be. That’s not only a resource saver but a life saver. On the contrary, when (not if) your high DPS isn’t high enough without aggro management, something will turn on you fast for generating damage on them. And that something obviously had higher HP than your bow could remove. That also means that the monster likely has higher attack potential than you can withstand, and you’re a dead adventurer. Attack so hard that the enemy can’t turn on you until it’s too late, and stay far away, and you got the gist of Misty’s fight strategy. Misty manages crowd control so well that I use Manyshot only on occasion. I’ll kick it on with a solitary boss that my team has locked down (more on that team in a moment) or in a crisis where a lot of trash appears and it’s important they are dispatched before the aggro team and I are overwhelmed. Mark of the Hunted: Expend a use of Animal Empathy. Your currently selected enemy receive -10% Fortification, -10 Armor Class, -10 Spell Resistance, and suffers a -4 penalty to all ability scores for 3 minutes. As noted before, a Deepwoodsman generates more and more damage as their Archer’s Focus builds up. Add in the debuffing effects of being Marked and the damage becomes very severe. When I activate this ability against anything, my damage skyrockets, especially if I’m got my posse in the right place to keep aggro on the targets. The Mark lasts for three minutes, more than long enough to destroy just about anything I target, even a boss, although I’m sure some red-names won’t be as damaged by getting Marked. This process isn’t very different from how I’ve applied hirelings with Sukitetica, except that Misty is trying to stay still and continually fire on enemies kept under aggro by the hirelings. I’m sneaking at all times when scouting. Hireling party is buffed, including Freedom of Movement. I send in the hireling attack team against a mob. For larger and stronger mobs, I tell the Panther to Intimidate them, which works very well in keeping the mob’s attention. The hireling’s buffed nature makes them durable even when surrounded against small to medium mobs of CR 25-30. I begin to pick off the weakest enemies, letting my Archer’s Focus build to 25, where my damage becomes powerful, with 75-100 damage per normal strike and more with critical hits and special attacks. If all is going well, I never move. I move the hirelings so I keep my damage primed while standing still, the hallmark of the Stalker build. I back off attack until the hirelings start attacking on an enemy and then join in so that I limit the enemy’s chance to turn aggro on me before it’s too late for them. The farther I’m away, the better. Should any enemies come at me, they get hit by a Sniper Shot to bluff them about, a Leg Shot to cripple them, or I move briefly into the mob and tell the Panther to Intimidate my attackers to pull them back into the attack fold. I’ll refocus the hireling’s attack to Champions last, or next to last if there is an orange- or red-named boss in the mix. Champions and named monsters get Marked to debuff them, increasing my damage to them by about 20-30%. I’ll also use the Pin ability to hold enemies in place briefly. The results in many fights are impressive on Heroic Elite to most Epic Hard fights. The hirelings last a terribly long time, even when surrounded, while I pick off enemies with near-impunity. The key is to wait for the right moment: an important quality as a good hunter. Once the hirelings have aggro, I’m open to shooting. The hirelings are beginning to strain now against the Drow in Epic Hard, however, as these guys hit hard with fortification-reducing attacks, Drow poison and more. Aggro management is also difficult against fast-moving or teleporting enemies, such as devils and demons, some of which also are harder for any ally to Intimidate. I can’t easily keep aggro in the many quests in the Devil Battlefield as yet, so I’ll have to go in over-level and with a larger party to make those happen on Elite difficulty to get my Yugo favor. I like Albus for his Death Ward, but on level 24 I may look to another Epic hireling that can heal himself and a fellow aggro-magnet while still dishing out damage. When in a live party, Misty is more formidable because I’m often exploiting the fact that most players just go HULK SMASH on everything, generating aggro so strongly that I just sit back and shoot. To improve my hireling’s survival as I reach into Epic Hard, a bit more Primal Avatar training is in order. There’s the following abilities I’ll want to Twist into Misty while in Shiradi mode. The second of the three is most appealing. Summer Smoke (Tier 3): Toggle: Nearby allies have a small chance to deal [5/10/15]d20 extra fire damage with their attacks. The last two require a crapload of Twist of Fate unlocking that may not be likely, so I would have to have Primal Avatar as the active destiny and Twist any other abilities over. I might buy a Twist of Fate tome to get that second slot unlocked as soon as possible for a tier 1 while using two earned points for upgrade the tier 1 slot to use Shiradi as dominant–preferred since I have a lot of extra DEX from it. Autumn Harvest (Tier 4): You and nearby allies have a 5% chance to heal [10/15/20]d10 when nearby enemies die. Not affected by spell power. Primal Scream (Tier 1): Nearby allies are raged gaining +[3/4/5] morale bonus to Strength and Constitution, and suffer a -2 penalty to armor class. Nearby enemies take up to [10/20/30]d20 sonic damage. [3/4/5] uses per rest. Duration 3 minutes per use. So, with that Fury ability, the hirelings get a +13 minimum boost to STR and CON. The Panther sees a +17 to STR and CON. That’s a tough little kitty. There might even be an Epic Bard hireling that could pump up the numbers further. Doesn’t seem practical for me to look into Fatesinger abilities. I’d lose on the DEX abilities as I would with hanging around in Primal Avatar. I’m not optimistic, but if these abilities can help an Epic hireling or summoned creature stay healthy and fighting long enough at Epic Hard or harder in combination with my Heroic stuff, I might have something. I still need to research any other EDs or feats that might add to allies. Suggestions welcome. In any case, I need to fully train both Shiradi and Primal Avatar to qualify for the Epic Destiny feat, Doubleshot, by level 28. What’s also notable are Misty’s stealth skills. I’ve added skill points to Hide and Move Silently throughout Heroic training, and she gained a few more points to this through her enhancement trees and some Shiradi training. The result is astounding. With ship buffs and the Woodsman’s Guile set equipped, Misty sits at about 75 Hide/Move Silently. about 10 points better than any of my ninjas. She can boost both to 85 or so with the spells Camouflage and Pass Without Trace. And as a Ranger, Misty has the Hide in Plain Sight feat that adds more H/MS and reduces slows Spot bonus, so she can move much closer to enemies before their Spot bonus can lock on. That’s helpful since Misty’s sneaking speed is only two-thirds that of any of my ninjas, despite training in Faster Sneaking and wearing Striding gear. Generally, once you get any skill to 75 or more, I think you’re good for Epic Elite stuff that involves that skill. But I don’t know if Misty or the hirelings will cut it at that level just yet. Hide/Move Silently are tactical, not defensive skills. Short of the Panther’s Intimidate, Misty has very few ways to shake off or escape enemies that come at her before she can kill them. The skill of my little hunting party has made for the fastest explorer completion of the Underdark. It took perhaps under 2 hours to complete my map with these two hirelings at my side. The downside to Misty is that she has no way to save any collared slaves. None of her skills allow a safe removal of collars in wilderness and quest areas. Misty also tends to take spell wards completely in the face without a Rogue in party. The ordinary Evasion feat with only a 30 or so Reflex save won’t do it against saving from harsh damage from any spell ward. Mind you, I wasn’t very optimistic on this attempt. I took the highly formidable Szyncletica in there at level 25 and got hammered despite her skill. In this quest, you’re besieged by an army. Even with a full party, it hurts. But I love this adventure: the music, the setting, the stakes, the challenges–everything. At the start, aggro management became a bother. When there are more than ten or so enemies, keeping aggro with a small team becomes very challenging because some enemies tend to split off, especially in tight places. I had to time my exit from stealth very, very carefully or aggro control was lost. Thankfully, the hirelings were durable and, with some close calls, we made it out of the orc and frost giant zones. The damned Shadar-kai are my team’s worst problem to-date. You can easily guess why. When some start spinning with that Spiked Chain Attack, the low-DEX hirelings get debilitated quickly. Misty can avoid that damage thanks to her high DEX modifier, but needs to relocate the hirelings fast if chains get zipped about. Only when I can cripple one do I have a chance to put many holes in them while my aggro team is forced into disarray. Because of the Shadar-kai reinforcements, completing the second level where Orphaun was held took more care. With an adjustment to strategy, we did clear away much of the control rooms, found Orphaun and eliminated the mage and his minions that were activating the mythallar. Our party met its Waterloo at the top of the glacier. It was a valiant fight, but the zerg rush of orcs with supporting battle healers were far too many to keep in an aggro check. Perhaps if I could max out the party with a high-DPS Rogue and Paladin, we might have stood a chance. But Albus had quickly drained his mana after the 2nd wave from the battlements near the glacier entrance. I began battle healing both hirelings myself while picking off what I could before we lost aggro control completely. I’ll have my hands full by creating two aggro teams that way. With several Gold Seals (if I can’t convince guildmates to join me) it’s also a bit of an expensive challenge. I am not finished yet. Short of a live party, Misty is going to dial in those Netherese and meet this challenge. Just as with Szyn, playing “What Goes Up” feels like an epic adventure and dares you to challenge it. The Netherese must fall. A Little Update: My level 98 guild also possesses two other ship buffs that give a total additional +5 to summoned/hireling abilities. Misty’s now training Primal Avatar to add in more protections and a Dryad summon I look forward to seeing in action. 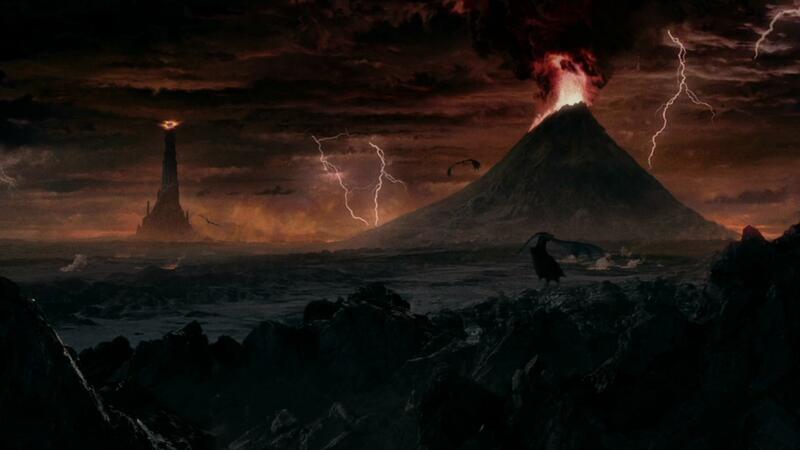 Walking into Mordor: Not recommended without the monastic arts. Since time is very limited for me with concentrating on a number of real-life tasks, I’m going to steer the blog back to its primary focus: The Monk class and what can be done with them. I will get back to the adventurers of Ranger Artemistika, Assassin Sukitetica and Swashbuckler Flynncletica soon. These characters not only round out my work in defining the sneak-happy classes to better document the Stormreach Shadows stealth guide, but are damned fun to play under the right conditions, especially Misty. By “right conditions,” I mean that they tend to die a lot easier than the weakest of my Monks when in the wrong conditions. I’ve actually missed being able to dance through the deadliest traps in the game like a drunken elf prancing through a meadow of flowers in springtime. It’s been a bit since I can stare down any enemy that tries something as mundane as a Fear spell or since I could take several Meteor Swarms to the face without issue and return the favor in a flurry of elemental strikes. For even my most versatile non-Monk characters, one does not simply walk into Mordor. And DDO presents a lot of “Mordors” for unwitting players to enter unprepared. But for my best Monks, they sometimes make a habit of daily runs into the Mordor de jour, punching and kicking and puncturing and poisoning seven shades of piss out of anything in their way. This blog is primarily about Monks, so when time is at a crunch, that’s where the focus must be. Let’s catch up on Ryncletica, the Poison Master and a little bit on Lynncletica, the Little Mountain tanker. The Netherese have had a special place in my gamer heart since my old Neverwinter Nights days in trying to stop some loony from reactivating old Netheril magitek. 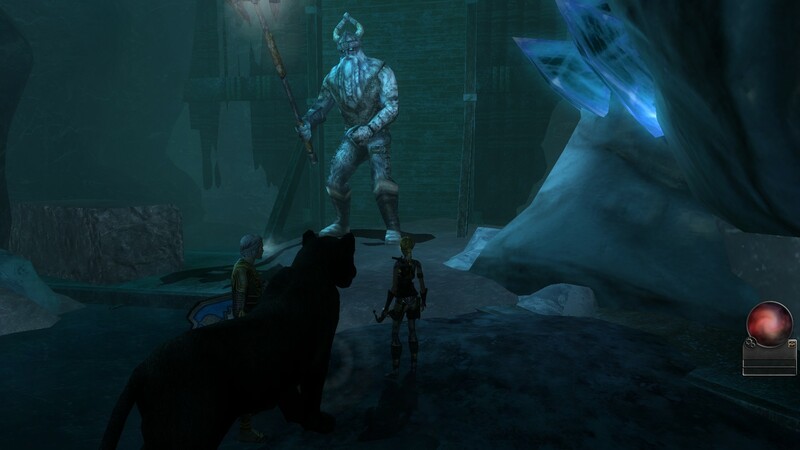 My appreciation of the DDO Netherese is quite happy with three adventure chains: “The High Road” (get back a Nether Scroll), “Wheloon Prison” (get back yet another Nether Scroll) and the super-epic Storm Horns adventures, which left Szyncletica in awe. Ryncletica sits on level 16 now with increasingly strong DPS and durability that allow solo Elite missions most of the time. I could use a bit more DEX for damage/to-hit. I’m being cautious and only putting her through Hard difficulties as I make a more thorough study of each quest before returning to them on Elite difficulty. I’ve also desired to complete the Explorer locations in this forsaken place. None of the Wheloon Prison quests allow for complete stealth. “Friends in Low Places” is all-combat, as is “A Lesson in Deception” and especially “Thrill of the Hunt” and those irritating Howlers. “Army of Shadow” does allow a bit of stealth ops to bypass or control much of the fighting. Remembering long-ago travels in the overshadowed Oldstone Hall, I hoped to use shadow against shadow with Ryncletica’s strong ninja powers. Ryncletica’s now able to use two Envenomed Blades, but chooses to hold only one of those blades in the main hand and her trust Tiefling Assassin’s Blade in the off-hand. The Wounding effect weakens from it while the advanced Poison and paralysis of the Envenomed Blade make a potent two-handed attack posture. Two Envenomed Blades weren’t bad but, lacking the Wounding effect reduces the chance for better use of the dark finishing moves. She’s also trained Shadow Double for a doublestrike DPS burst for tougher enemies, and Quivering Palm makes for quick-kills as I make my way through otherwise-empty halls. I abandoned the use of the Harper tree to build up melee power for now. The AP cost didn’t reflect any significant advantages in damage at this time. Further, that AP has helped both Drow and Ninja Spy trees to boost their damage or defenses. Ambidexterity from the Drow tree, or Sneak Attack or completing the Ninjutsu training (right up to Touch of Death) is back on the table. I’ll certainly revisit melee power boosts as Ryn returns to Epic levels, specifically with Shadowdancer and Epic leveling’s boosts to melee power. She’ll need to get Primal Avatar trained enough for Rejuvenation Cocoon for greater healing options. The mission went pretty well. With one hireling, the lovely-rendered Favored Soul Althea as passive backup and parked for 90% of the mission, I sneaked through the light and dark sides of the hall. The narrow halls made it a challenge to avoid what few patrols existed. Despite this, I was able to obtain two or three of the orbs without combat by way of ninja stealth. On the final fight, I took a tip from the wiki: Don’t follow the shade continually back and forth from the light and dark sides. I concentrated on delivering Ninja Poison DoTs on the boss, which left him still taking damage while he phased out and I concentrated on mopping up any Shadar-Kai or other minions that materialized. As a quest chain, I enjoy Wheloon Prison, but it is probably my least favorite of the three Netherese missions. The High Road quests take second (I love its wilderness and the respawn rate that can let you hunt there for hours), but the Storm Horns remain the pinnacle of the Netherese missions and, in my opinion, the most beautiful and well-designed and story-immersive story lines in the game. I’m looking forward to getting Ryn to the Storm Horns, but not without a party. You don’t solo those quests without a lot of firepower. I couldn’t end this quick post without geeking out about Update 24’s adjustment in healing amplification. No one appears to be complaining a bit on the forums with the change. The new formula has dramatically improved the vampiric healing of Fists of Light for Lynn. In Earth Stance with the Jidz-Tet’ka bracers on (no amp in that stance) and with 3 Shintao cores, I’m seeing 2-4 HP per strike. Kick on Fire Stance and it jumps to 2-6, if not more. Lynn needs the new format. I’ve been pushing her through early quests on Elite. Like her first life, early levels are a bloody mess for her, easily taking punishing damage with weak saves for what miss-chance effects are up for her. At level 9, Lynn is fit and fighting but has to manage aggro oh so carefully.